NOTE: Bakery items require a 2-3 days processing time before being shipped. 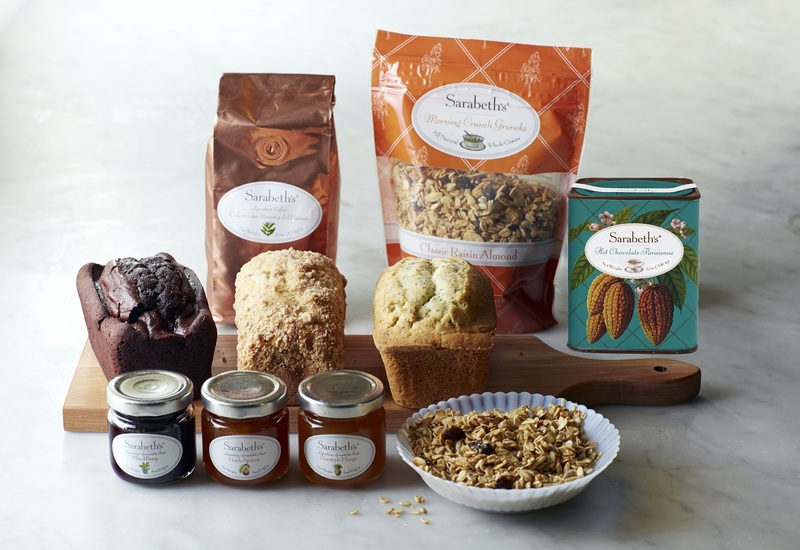 Send a loved one a gift, or indulge your family to a breakfast of Sarabeth’s morning treats. Includes Morning Crunch Granola (Cranberry-Blueberry), a 16 oz. bag of Premium Estate Coffee (regular), 12oz tin Hot chocolate, a Trio of Loaf Cakes, and three 4 oz. jars of jam (Peach Apricot, Mixed Berry, and Pineapple Mango).